Plain T-shirts are looking simple and gorgeous. Summer season is on trend now thus, Plain t-shirt looks simple still this is a most significant item in your wardrobe. Plain t-shirts are available at Neevov for boys & kids in India. Plain t-shirts are manufactured of cotton and some other useful fabrics. Plain t-shirts have a good multi collection with an attractive sober look. Plain t-shirts for boys & kids with an awesome colour combination for instance as white round neck half sleeve t-shirt, turquoise round neck half sleeve plain t-shirts for boys & kids which are available at Neevov in India. Plain t-shirts are comfortable casual wear with different colour matching yellow, red, blue & white for the smart personality of young boys & kids. You can choose your favourite colour with an exclusive range or variety. Plain t-shirts effortlessly look nice, cool and pretty on your body fitness. Plain t-shirts are available at Neevov here with largest total five sizes: 6 to 12 months, 12 to 18 months, 4 years and 2 years kid. An inclined customer can buy cotton boys kids Plain t-shirts with nine different colours. 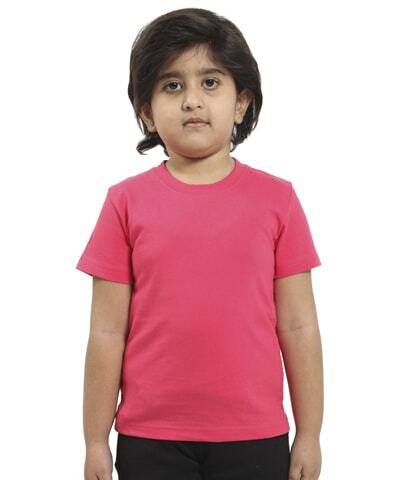 Kids Plain t-shirts online India have two variety round and v necks these are very easygoing casual wear. Plain t-shirts confer nice sober look to the boys & kids as well as Plain t-shirts are liked by all them. It makes easier and comfort to your walking mode. Plain t-shirts are brought with the latest material here at Neevov.com in India. A plain t-shirt is an appropriate choice for the summer season. A plain t-shirt is made by single colour. In this way this style keeps your personality look simple and pleasant. Plain t-shirts are manufactured 100% cotton and expensive fabric & lasts long. Plain t-shirts look particularly fancy and stylish according to the customer’s demands. Plain t-shirt seems too simple and casual cotton staple. Plain t-shirts are an incentive for fashion and clothing brand. Plain t-shirts are relatively quite simple to sew the perfect one. Boy's round neck Plain t-shirt half sleeve, strong White shading, mildest, smoothest, gorgeous customary fit T-shirt for easygoing wear.100% ring-spun brushed cotton, Single Jersey, Texture weight - 180gsm, Pre-Shrunk and Bio-Washed Fabric, Consistent and Comfort Fit, Side Stitched For Perfect Fitting, Sturdy, Neck cover-sewed, Shoulder to shoulder tape, Twofold needle trimming on base and sleeve, Tear label for easy removal etc. Women spaghetti tops and printed tee shirts are well clothing to wear during summer season. Purchase kids plain t shirts which are available total five sizes to 6 years, 6 to 12 months, 12 to 18 months, 4 years and 2 years kids. Buyer can purchase hundred percent cotton t shirts with nine different solid colours like black, blue, chocolate, fuchsia, pink, purple, red, turquoise and white. Neevov branded cotton t shits have used single jersey, 180 GSM and 100 percent ring spun combed. Boys Plain t-shirts are very comfortable to wear. These come in both round and crewed neckline which are loose to wear. Plain t-shirts look most stunning in white and black colours. Plain t shirts wholesale are worn by both male and females of all ages. These t-shirts are the ideal t-shirts who like the simplicity. Plain t-shirts come in both half sleeves and full sleeves. Plain t shirts wholesale is a type of t-shirt which has no print on them. Therefore they are also called the simple t-shirts. 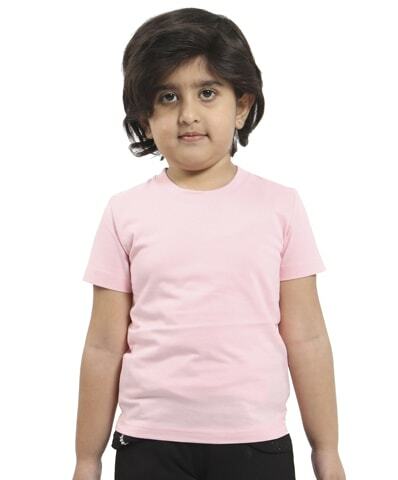 Kids Plain t-shirts generally come in light colours. They match up perfectly with a pair of jeans. Plain t-shirts are one of the ideal outfits in summers. Plain t-shirts are basically made with only single type of fabric. A simple t-shirt is made up of a single colour. Full sleeve t-shirts also look stunning with a pair of jeans paints. Plain t-shirts also come in v-shaped neckline.